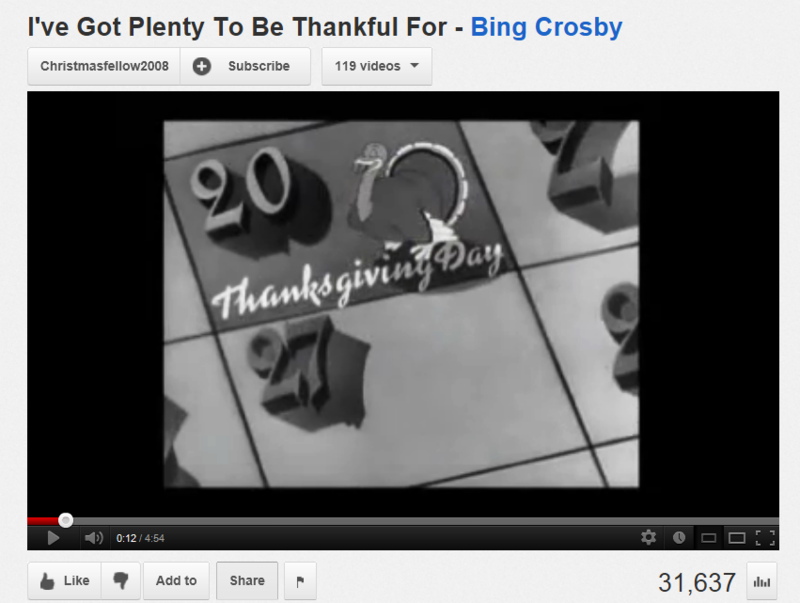 I love the Bing Crosby song from “Holiday Inn” that he sings (while missing his love, who has recently become engaged to another man) on Thanksgiving. So he is a little grumpy, but the song on its’ own is a happy, grateful, true story! Best lines from this clip? Mamie: Women has to have them things told to them the right way. You could melt her heart right down to butter, if you’d only turn on the heat. Jim considers what Mamie is telling him. Jim: Well, sure. [He is now resolved] Women has to be told things the right way. Uh, yeah. Right. Anyway, I am singing this song all day today! Sing with me, come on! I have included lyrics! Because I am nice like that. How could anybody ask for more? Yes. I really, really do.